You've likely been reading in the news about the terrible fires in California. One of the worst fires is raging near Redding, California—the home of Bethel Church, one of the best-known and most respected churches in the country. The Carr Fire has killed eight people so far and is still burning, largely up in the mountains. This fire has consumed around 207,000 acres and is 63 percent contained as of Monday afternoon. Near Bethel in Redding, the fire has consumed 1,077 homes, 22 commercial structures and 500 other structures. I recently heard about how Bethel is giving $1,000 to each family who lost a home in their city. The church made the commitment when about 300 homes had been lost. Now the number has grown to 1,770, and Bethel has maintained its pledge to help every one. A number of ministries have come alongside and about half of the $1.1 million needed has come in. 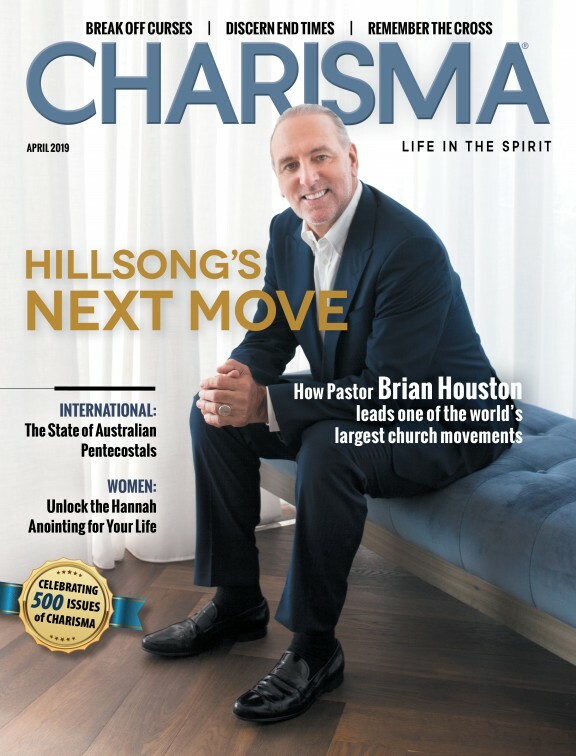 I now hope the readers of Charisma will give generously as they have so many times in the past. We've raised hundreds of thousands of dollars over the years for victims of tsunamis, hurricanes, tornadoes and other natural disasters. I invite you to give (as I have personally) through our nonprofit partner Christian Life Missions, and we will send 100 percent of what comes in to Bethel to distribute as they respond to the needs of their communities. I interviewed Eric Johnson, son of Bethel's lead pastor, Bill Johnson, on my "Strang Report" podcast so he could share what his church is doing to support and help heal its community. Eric says that the night the fire first broke out was traumatic for the entire community. Almost half the city—40,000 people—had to evacuate. Many of Bethel's staff and team members were among those who had to flee their homes. "Once everybody sort of got situated, we began to go to work," Eric told me. "Our teams came together the next morning and began to figure out what we can do in response to this." Eric recounts Bethel's two primary goal to help those affected by the Carr Fire. First, they wanted to make sure every family who lost a home (every address, that is) would receive $1,000 to help cover immediate needs. Second, the team turned Bethel's main campus into a Salvation Army distribution center, where those who lost their homes could get food, water and supplies. God was gracious to provide Bethel with around 400 volunteers every day to serve the more than 6,300 guests who came. During the two weeks Bethel's distribution center was open, Mercy Chefs came and cooked thousands of meals a day at Bethel's site and several other nearby locations. Now that people are beginning to move back into their neighborhoods, Bethel has moved its distribution center to the nearby Salvation Army. Bethel is now focusing on helping people "ash out," that is, sifting through the ashes to find any possessions the fire didn't destroy. Trained teams—totaling 400 people from all over the city—have been ashing out for almost two weeks now. Even though Bethel still has a long way to go to reach their goal of $1.1 million, Eric marvels at the national—and even international—support Bethel has received. He says one church donated its entire week's worth of tithes and offerings to Bethel. That gift alone increased their donation fund by around $70,000. "We've obviously put our money into it," Eric says. "But we feel like we're just a funnel. We just want to help funnel money into helping [these] 1,100 homes have something immediately. It's just been astounding." To support Bethel's generous efforts, I invite those of you reading this article to donate whatever God lays on your heart to Christian Life Missions. As I mentioned before, 100 percent of your donation will go to the Bethel's Carr Fire fund. If you can, I encourage you to give $1,000 to cover an entire family. Visit christianlifemissions.org to donate to Bethel so they can help the families devastated by this fire. Listen to my podcast interview with Eric to gain an insider's perspective on how God is using Bethel to heal Redding's community.